Susan's Disney Family: Ocean Minded great shoes for the summer that are also earth friendly. Ocean Minded great shoes for the summer that are also earth friendly. Ocean Minded™ believes we should utilize recycled and sustainable materials in our footwear, apparel, and accessories whenever possible, and we consistently strive to achieve this. That simple idea is the foundation of our company. Being ‘ocean minded’ and living an ‘ocean lifestyle’ begins with the inspiration and allure that the world’s oceans and beaches offer each one of us. 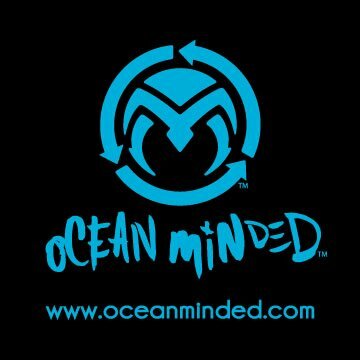 The Ocean Minded™ brand enables an individual to identify, visualize, and embrace their personal beach and water-oriented passions in the course of their daily adventure. Whether you’re devoted to surfing in Hawaii, kayaking on the Sea of Cortez, snorkeling over the Great Barrier Reef, or warming up around a campfire in Big Sur, Ocean Minded™ welcomes you with open arms. We can no longer deny that our planet is rapidly becoming a crowded and polluted place. Our chosen lifestyle, and the passion for the ocean we all share, cannot be taken for granted. Ocean Minded™ believes we should utilize recycled and sustainable materials in our products and collateral material whenever possible, and we consistently strive to achieve this. Additionally, we feel that as both a corporation, and a group of individuals, it is essential to Live, Protect, and Respect our environment. Since 1996, we have been organizing community beach clean-ups around the world, and educating our customers on the importance of leaving their chosen playgrounds in better condition than when they were found. Our belief that everything eventually ends up in the ocean has led us to host additional clean-ups in the mountains, as well as on the banks of inland rivers and lakes. These values are the cornerstones of our Brand, and we invite you to Be Ocean Minded™. Made for summer memories. Once you slip on this insanely comfortable Ocean Minded™ by Crocs shoe, your relaxing begins. Classic design with a breathable canvas upper and lots of espadrille features. “Ahh” comes to mind. I am always looking for a great looking pair of shoes for the summer, something that looks cute but is also comfortable. Sounds easy right? Well fining the perfect combo of look and comfort is not as easy as it seems, but I have found a shoe that I just love with Ocean Minded. 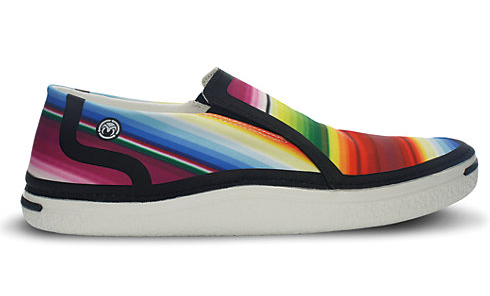 The Women’s Espadrilla Slip On, has all the great looks of a Espadrille, without the heal. And unlike other Espadrille I have ever had, this is a very comfortable shoe. 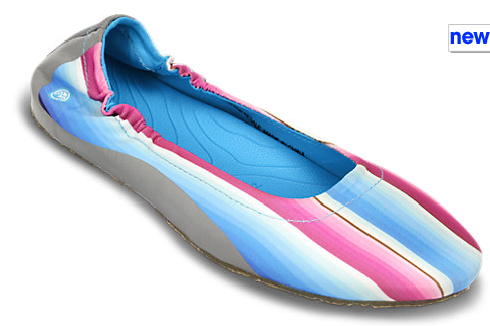 I could see myself wearing this shoe to the beach or out to dinner while down the shore this summer. This shoe is so very comfortable, the foot bed is soft and it almost feels like you are stepping on a big marshmallow. The impact is light and your feet feel great even if you wear the shoes all day. I was able to wear the shoes on my treck to work the other day, and they felt wonderful. Women’s Espadrilla Slip On retails for $44.99 and comes in five colors, black/glam pink, oyster/sea foam, espresso/gold, navy/white, mellow yellow/gold there is a color that you will love. I will surely be packing these great shoes for my trip to California at the end of the month. These shoes will work well with shorts or even a cute sundress. So if you are looking for a great summer shoe, from a sandal to a flip flop Ocean Minded has just what you are looking for. Ocean Minded offers Free shipping for all orders over $65.00. When you sign up to be on the Ocean Minded email list you will get a code to save 20% off of your first purchase. So make sure to take advantage of this great savings, and stock up on some cute shoes for the summer. Disclosure: The reviews and or opinions on this blog are my own opinions . I received a pair of shoes to review. No monitory compensation was received. I was not required to write a positive review. Your experience may differ. The opinions I have expressed are my own I am disclosing this in accordance with the Federal Trade Commissions 16 CFR Part 255: Guides Concerning the Use of Endorsement and Testimonials in Advertising .